When you own this Lance Camper travel trailer, you possess the ability to pick up and head to your next adventure at a moment's notice. Everything you need for a successful camping trip has been included in this trailer. Because of the queen-sized bed, this unit can sleep two people, which means that you don't have to enjoy the great outdoors alone, and you will never be without a hot meal even if you find yourself in the midst of nowhere because of the 3-burner range top and 5 cubic foot double-door refrigerator that allow you to cook wherever you are. 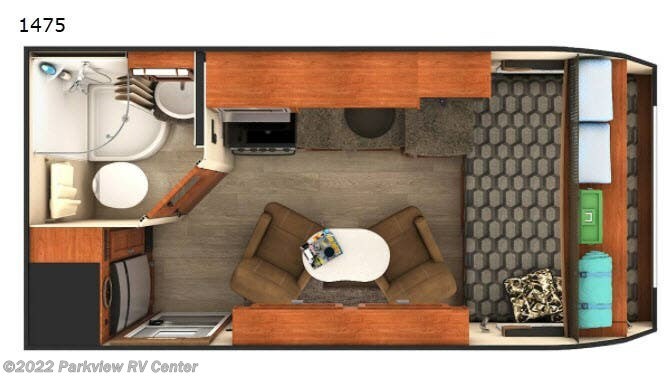 Check out Stock # 4442 - 2019 Lance Lance Travel Trailers 1475 on lancecamperrvsource.com!